When Karl Benz fired up his Benz Patent-Motorwagen in 1886, he could never have guessed that his last name would, more than 125 years later, become synonymous with the marketing slogan “The Best or Nothing” and used in the title of a nearly incomprehensible rap by Lloyd Banks, Fabolous, and Juelz Santana. The mustachioed German engineer might well be rolling in his grave. So where did the name Mercedes originate? Emil Jellinek, a motorsports enthusiast and director at Daimler Motoren Gesellschaft (DMG), an automobile manufacturer started by Gottlieb Daimler and Wilhelm Maybach, had named one of his daughters Mercedes. The name was first used in association with a series of racing cars and then was applied to a range of passenger vehicles designed for wealthier buyers in 1902. When DMG merged with Benz & Cie. in 1926 to form Daimler-Benz AG, the new company agreed to use the Mercedes-Benz name on its future vehicles. Today, as can be seen in our collection of Mercedes-Benz pictures, the company sells a wide range of cars, SUVs, and commercial vehicles wearing what is called the “three-pointed star.” Knowing which model is which when perusing our Mercedes-Benz photos isn’t easy, so we’ll try to help. Alphabetically, from A through E, the “classes” of vehicles are cars. Then, from G through R, the classes of vehicles are SUVs and crossovers. The S-Class is the Mercedes-Benz flagship, and the Sprinter is a commercial van. That leaves the SL through SLS AMG models in our archive of Mercedes-Benz images, and they’re all sports cars. 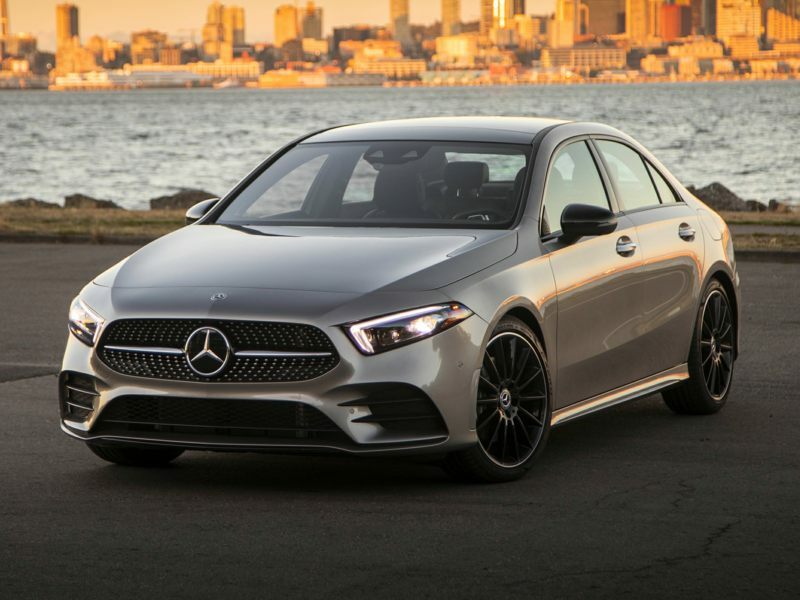 Today, Mercedes is launching the new CLA-Class, a compact 4-passenger, 4-door coupe with a base price of less than $30,000. The future includes a new crossover SUV called the GLA-Class, plus a number of alternative powertrain vehicles that could result in the debut of a new B-Class range of vehicles in the U.S.